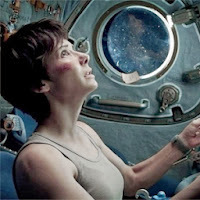 [Gravity spoilers] One of the most powerful scenes in one of the most powerful films of the year has Sandra Bullock's stranded astronaut make brief radio contact with the Earth. But it's not Houston she manages to reach, it's a fellow with some dogs. Now, we get to see the other side of the conversation. Gravity's screenwriter, Jonas Cuaron, has written and directed this short film about Anningaaq, the Inuit she makes contact with. It shows what's happening in his life while Sandra Bullock floats above. It's pretty powerful stuff, too, and has already been submitted for Oscar consideration.